Handy for travel! 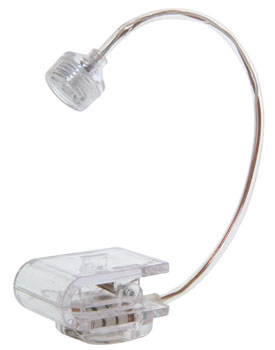 This small book light is made of flexible wire and plastic. L 7" x W 1.25" Take 3 button cell batteries (included). Also comes with a frosted box for storage.